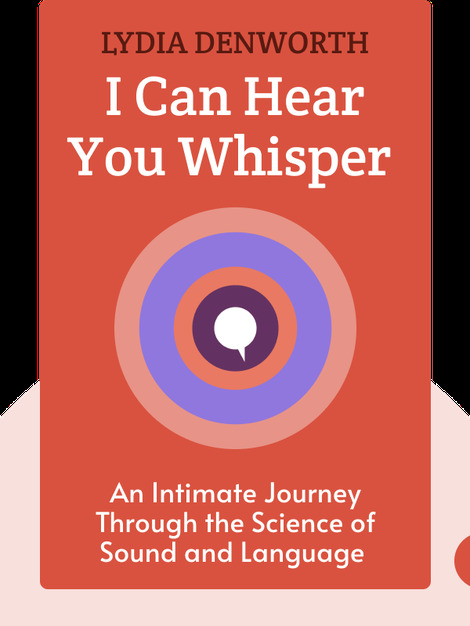 I Can Hear You Whisper (2014) is about human communication, and the phenomenon and culture of deafness. Hearing is a complex process that doesn’t function the same way for everyone, and those who are deaf or hard of hearing have developed alternative methods of communication, around which a special culture has grown. These blinks give an overview of that culture and show that it’s just as rich as any other. 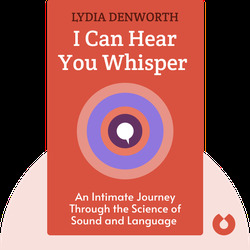 Lydia Denworth is writer whose work has been in the New York Times, Newsweek and the Wall Street Journal. She served as an adjunct professor of journalism at Fordham University and Long Island University. I Can Hear You Whisper is her second best-selling book.